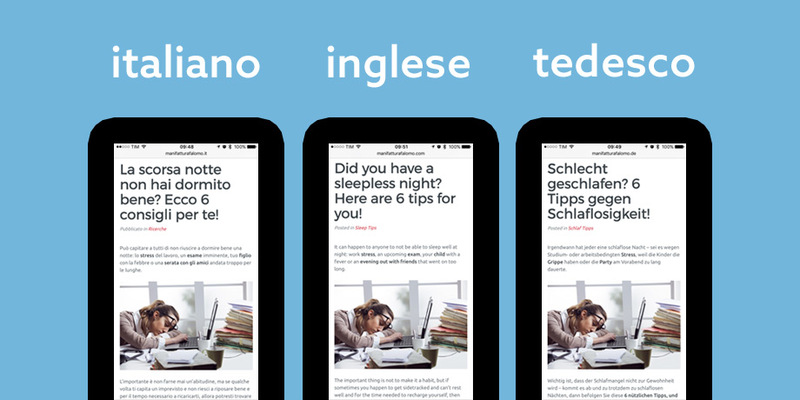 Promote “healthy sleep” and the true Made in Italy online. 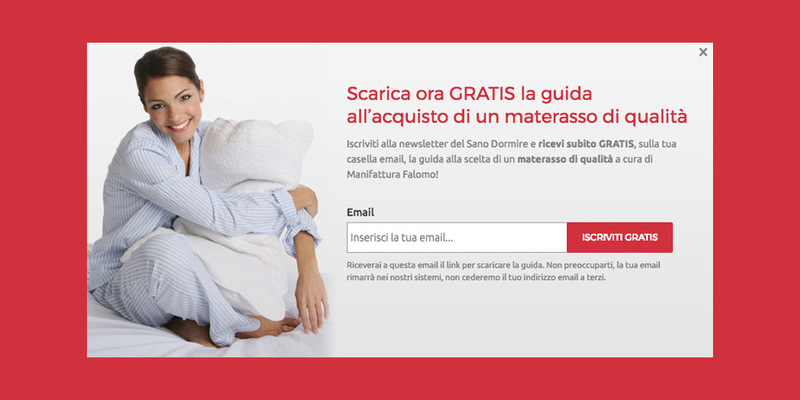 Manifattura Falomo, an Italian company at the forefront in the production of mattresses, sees its brand increase popularity thanks to an online editorial project integrated with a multilingual e-commerce, perfect to promote Made in Italy products and reach new consumers throughout Italy and Europe. Promote the culture of “healthy sleep”. For over 50 years. Since 1962, Manifattura Falomo’s production of mattresses, pillows and bed bases has been entirely designed and realized in Italy by highly qualified staff and expert craftsmen. Increase the brand’s popularity. In Italy and Europe. Give a boost to the company, educating consumers through the company blog and with quality content, also allowing all consumers to purchase Manifattura Falomo’s mattresses, pillows and bed bases online. The Magento platform was customized in 3 main aspects in order to create the multi-language responsive e-commerce website www.manifatturafalomo.com. Find the nearest store, in just 2 clicks! A system that suggests the nearest Manifattura Falomo sales point was created and integrated, requiring the user to insert a zip code and email address. Thanks to the multi-language e-commerce, buyers can easily have Manifattura Falomo’s products available at home also in areas in which the company is not present with physical stores. The WordPress content management system is integrated with the Magento e-commerce platform in order to better support the editorial management of content, designed and implemented with the aim of informing Manifattura Falomo’s potential customers.